This module begins with a brief history of papermaking and a discussion on the types of fibers used in the production of paper products. 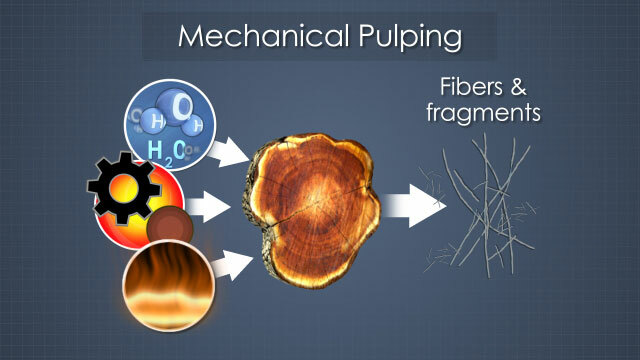 Then, it discusses the various mechanical, chemical, and semichemical pulping processes used to separate the fibers in wood. 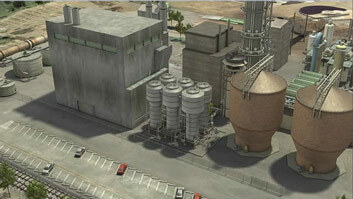 It describes several pulp processing operations, including bleaching, and ends with a description of the various sections of a paper machine, including the forming section, press section, dryer section, and reel. 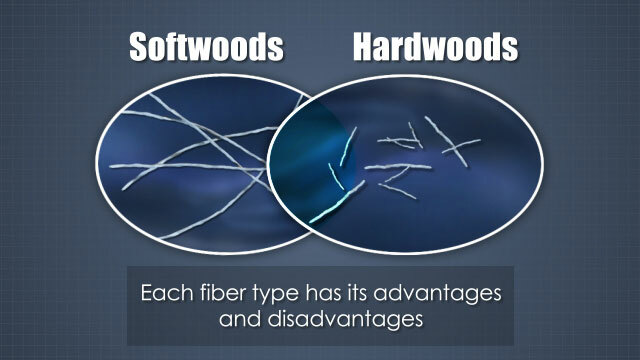 Define the terms "pulp," "paper" and "paper grades"
How are softwood and hardwood fibers different from each other? 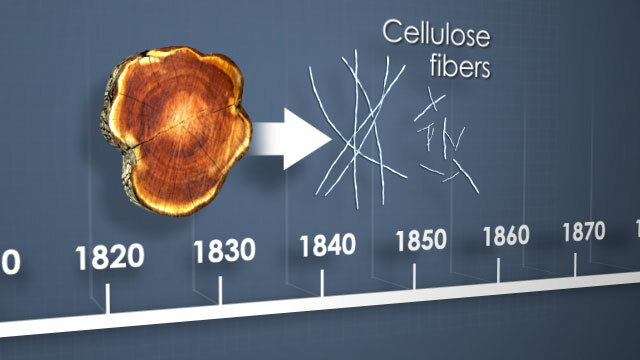 Softwood fibers tend to be long and flexible, which contributes to the strength characteristics of paper. Hardwood fibers tend to be short and stiff, which contributes to the bulk, smoothness, and opacity of paper. Why is paper that is made from mechanical pulp called "wood-containing paper"? Mechanical pulps contain all of the constituents of wood, including the lignin, and so they are referred to as "wood-containing." 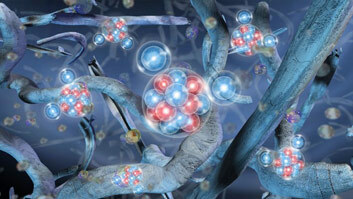 What is the "liquor" that is used in chemical pulping processes? 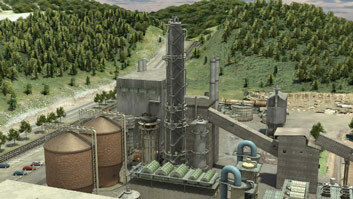 "Liquor" is the name of the water-based chemical solution that is used to cook wood chips in chemical pulping processes. What happens to the chemicals in the cooking liquor after the pulping process? 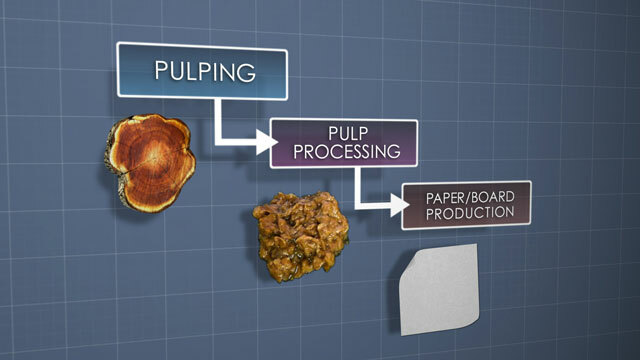 The chemicals are washed out of the pulp and then they are recovered so that they can be reused. Pulping and papermaking processes require a lot of steam heat. Where does this steam come from? As part of the chemical recovery process, many organic compounds from the wood are burned to produce steam. 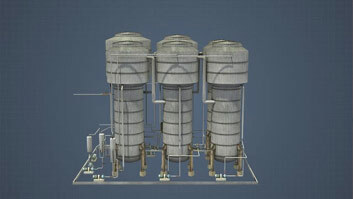 The two major chemical pulping processes are sulfite and kraft or sulfate. In both processes, wood chips are cooked in a chemical solution called liquor to remove the lignin and separate the cellulose fibers from each other. Because lignin and some other wood components are dissolved and removed, these pulps are referred to as wood-free. 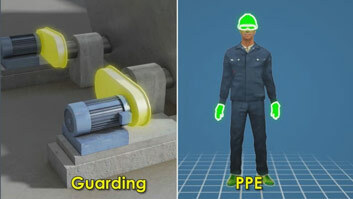 One major disadvantage of chemical pulping processes is that they have yields in the range of 40 to 50%, whereas mechanical pulping yields run around 95%. The main advantages of chemical pulps are that the fibers are longer and stronger, and they can be bleached to a high brightness.